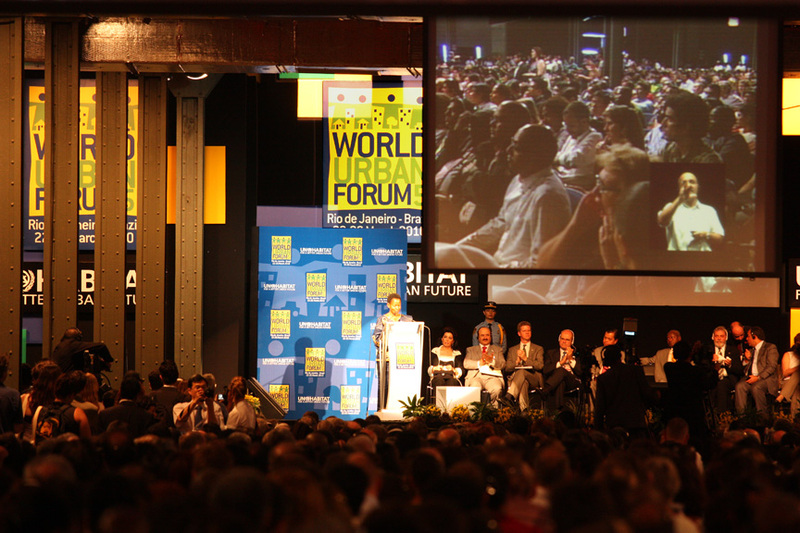 We have started an ambitions program with a first step hosting several events at the fifth UN World Urban Forum in Rio, March 22-26, 2010. We are championing 'incremental housing' (core housing) as a viable proactive strategy for meeting the challenge of exploding Third World city growth expected over the next 20 years. The current development focus on slum upgrading is not sufficient, overly expensive, and is trapped in a hopeless catch-up mode. Our goal is to build global awareness of the incremental alternative, drawing on experience in the 70s and the demonstrated abilities of the expanding informal sector. We have grounded a network of universities, under the name 'Global University Consortium Exploring Incremental Housing'. Homebase is SIGUS-MIT, and at this point there are about 22 universities participating. To launch the Consortium, the universities carried out sample field surveys of incremental experience in their countries, which were presented at the Forum and used a reference for discussions. The participation of the Consortium Universities at the Rio Forum was made possible with the generous support from the Microsoft NGO Connection, and with contributions from the Horacio Caminos Memorial Fund, the MIT Department of Architecture, the MIT Department of Urban Studies and Planning, and the MIT Public Service Center. 'AN URBAN PROACTIVE STRATEGY TO MEET THE URBAN GROWTH CHALLENGES OF THE NEXT 20 YEARS', which explores the incremental phenomenon from experience around the world. We reviewed the early 'site and services/core house' projects of the 70s/80s, followed by regional presentations by universities who have carried out surveys following our model from our website, and presented innovative new approaches using cell phone data collection and computer modeling. The Challenge; We Accept the Challenge! The Incremental Process; It Works! ; Partner with Energy: Establish a Frame for Development; Provide a Starter Core; Support the Process; Technology Can Help! Is Incremental a Good Strategy for Haiti? ■ A 3-hour Training Session 'HOW TO DO PROCESS ORIENTED INCREMENTAL HOUSING SURVEYS'. The session covered two areas, and debated the merits of the two approaches. • How to undertake longitudinal surveys that focus on important process factors in informal, self-help housing expansion, to aid in development of urban housing policies. • How to use a cell-phone paperless approach to rapid, real-time, inexpensive surveys. 'IS AN INCREMENTAL CORE HOUSING STRATEGY THE WAY TO RE-ESTABLISH COMMUNITIES IN HAITI?' Does a core house self-help incremental process offer a viable approach in the rebuilding Haiti? What would be the characteristics of a small, simple core unit which links speed of construction, large-scale, and familiarity of material with a family's needs, would policies would be needed for success? How could an incremental process be implemented? 'BRIDGING THE GAP BETWEEN RESEARCH AND ACTION AT THE CITY LEVEL – THE ROLE OF UNIVERSITIES.' Three areas of action were promoted at the institution-building level: public presentations, internship program, and a 1% research fund.